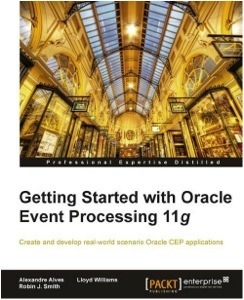 I shall be reviewing the new Packt book on Getting Started with Oracle Event Processing (details at http://bit.ly/ZTpzCh). The full review will be posted here, but will probably tweet as I go (www.twitter.com/mp3monster). Given one of the authors is Alexandre Alves I have high hopes for the book given what I found when reviewing of his OSGi In Depth book he wrote for Manning.